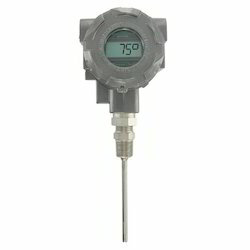 We are the most prominent manufacturer, exporter and supplier of a wide assortment of Temperature Transmitters. 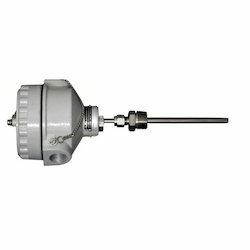 Offered transmitters are extensively used for averaging temperatures, providing a redundant temperature measurement and measuring differentials. These transmitters are manufactured with the support of our smart professionals using optimum quality raw material keeping in mind the norms of market. Our transmitters are checked on numerous parameters in order to ensure its flawlessness. We are successfully engaged in offering a broad assortment of Flame Proof RTD that is extensively used with Thermocouples. The offered products are manufactured using top notch raw material and leading technology in order to maintain their compliance with internationally set norms. These products are strictly tested under the vigilance of our quality controllers to ensure its quality. Our provided products are obtainable in varied modified options to meet the ever-evolving requirements of our customers. We have acknowledged as an eminent enterprise engaged in offering superlative quality range of Flame Proof Sensors. 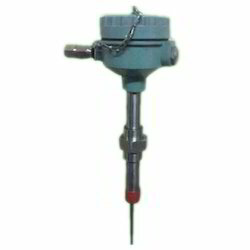 Our offered sensor is extensively used in thermocouple for intrinsically safe explosion-proof temperature testing system consists of multiple-pairs of extension wire and in many other suitable applications. Offered sensor is accessible in numerous specifications so as to meet the demand of customers. Moreover, customers can avail provided sensor from us at affordable price within a given time frame. In our extensive range of products, we are engaged in offering a comprehensive gamut of Flame Proof Thermocouples. The offered thermocouples are manufactured with the best quality raw material. 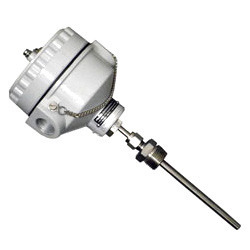 Our provided thermocouples are flame and weather proof in nature, preventing any climatic or industrial damage. Also, the provided thermocouples are offered on numerous specifications according to the demand of customers.